Dr Helen Cottee died on 3 July in Bristol at the age of 59. She was a well-known and respected clinical psychologist in the field of addictions, founder and later Chair of the Faculty of Addictions and active member of the committee. Helen also greatly influenced service provision in Avon & Wiltshire Mental Health Partnership Trust, occupying senior roles in Specialist Mental Health Services and holding the post of Quality Director. Helen trained in London and re-located to Bristol in 1985 where, with Lucy Johnstone, she set up one of the first primary care psychology services. In 1991 she moved to Blackberry Hill Hospital in Bristol to work in the Drug and Alcohol Service. Among other roles, she was instrumental in setting up DBT services for women within substance misuse services. She was active in clinical psychology in the areas of quality improvement and governance of treatment for people often marginalised within society. She also took a leading role in promoting the use of EMDR, as well as delivering teaching and training. She produced invaluable information for service users and their families to guide them through their journey to recovery, describing evidence-based interventions in an accessible format. Helen was a natural leader but also very much a team player. She had close working relationships; she was open and available to staff, aware of what they were dealing with and extremely supportive of them. People were drawn to her for many reasons; her warmth, her uniqueness and because she was fun to be around. She was also straight-talking. If meetings slipped into lengthy or unproductive discussions, Helen would cut through with a sharp slice of common sense and a dose of reality. Her regular supply of proper coffee and KitKats also helped. 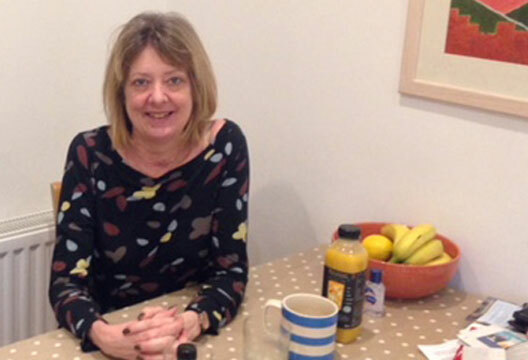 After her diagnosis of cancer, Helen made the decision to retire. She celebrated the temporary remission granted by chemotherapy with customary style and generosity, looking glamorous at the two parties she held to thank people for their support. She made the most of every minute by travelling, socialising and spending precious time with her husband Ivor, her sons Tim and Tom, and her stepdaughter Sophie. Many people have availed themselves of Helen’s wisdom and guidance as well as her boundless hospitality. Helen will be remembered with huge affection by those who were privileged to know her, and who will greatly miss her energy, warmth and the enthusiasm she brought to all parts of her very full life.